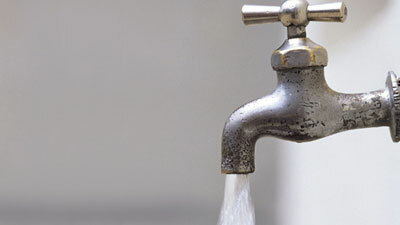 N West water quality comes under scrutiny - SABC News - Breaking news, special reports, world, business, sport coverage of all South African current events. Africa's news leader. Local government and water service boards have committed to developing a plan to deal with the water crisis. North West Province water quality came under scrutiny at a gathering of water and sanitation experts. Various role players in the field met at a provincial water Summit in Vryburg where they all agree more needs to be done to keep make water clean and accessible to all communities. Water has fast become a scarce commodity is some communities in the North West Province. People often have to go to extremes for their daily supply of water. But now there’s a collaborated effort to try and reverse that situations. “In terms of water resources availability we are almost at around 80% but when you look at the water supplied to the villages we have got challenges in some areas. Our main challenges are basically on the operation and maintenance of the infrastructure. In terms of the pipelines there is lots of breakages that is what causes lots of water leakages in the systems,” says Justice Maluleke of the Department of Water and Sanitation. “Water quality in this province is very bad. People can’t rely on water. The water has to be purified before they can drink it. Most of the infrastructure is decapitated. There is no maintenance of the infrastructure so as a result of that there is no early treatment. People get water that is already polluted,” says Tshwane University of Technology’s, Dr Lizzy Monyatsi. Meanwhile, local government and water service boards have committed to developing a plan to deal with the water crisis. “We don’t even have a master plan for the province that can inform those who have to implement, where the issues are, where obstacles are so that implementation is therefore maximized in terms of its effectiveness. If you look at the work that we did in the past two weeks as per the Presidential directive to unblock the problems of Huhudi in particular and the results we are achieving. I think our reservoir is about 90%, if not more,” says North West Premier Job Mokgoro. “Due to the lack of capacity and skills you’ll find that when the infrastructure is handed over to the local municipality. It starts falling apart and you find people complaining that there is no water. So there is a real issue with skills and capacity at local municipality,” says Magalies Water CEO Sandile Mkhize. While the provincial master plan is being mapped out these communities will have to continue to make do with the little they have. This entry was posted on 15 Apr 2019,07:31PM at 7:31 PM and is filed under Sci-tech, Homepage Latest Stories Slider. You can follow any responses to this entry through the RSS 2.0 feed. Both comments and pings are currently closed.